Sport student Cole Kilner is gearing up to compete in the IAME International Karting Final in Le Mans, France, this October. The 16-year-old took up go-karting in 2014, following in his father’s footsteps who was crowned British Quad Champion. He trains with Mick Barrett Racing, where he came fifth in Kartmasters British Grand Prix and ninth in the Super 1 National Kart Championships, a premier karting championship producing many famous drivers including Lewis Hamilton and Jenson Button. Cole, of Kitson Drive, Barnsley, will race against the very best drivers from each competing country at top speeds of 80mph. As well as working hard on his studies, Cole has given up many of his weekends to hone his driving skills on the track to prepare for the competition. Cole is part of the Barnsley Sports Academy within College and has been able to access an Elite Sports Performance Bursary to fund aspects of his competition such as equipment and travel. 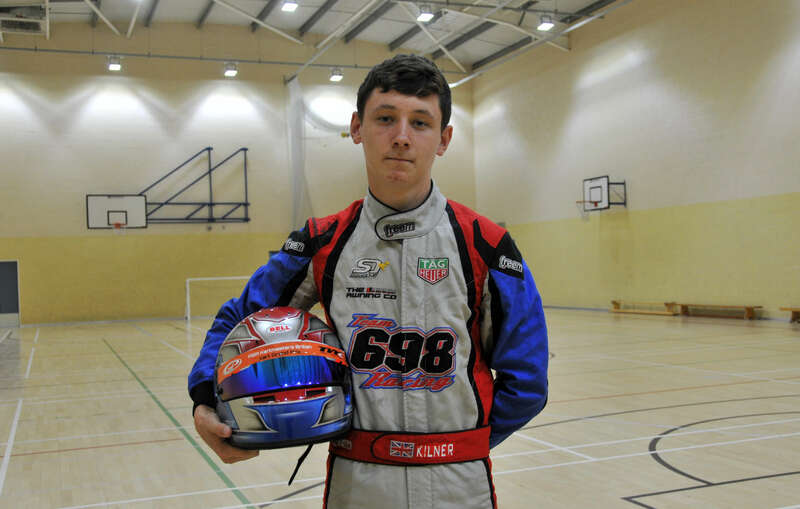 Cole said: “It has been fantastic to follow in my dad’s footsteps and compete at a high level in motorsport. I would like to become a top driver and progress into motor racing. I was shocked and overwhelmed when I found out I would be competing internationally, it’s a very special feeling.